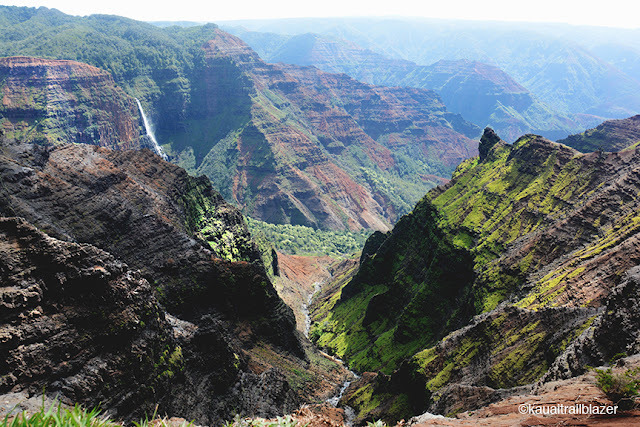 Waimea Canyon by itself—a twelve-mile-long, 3,000-foot deep gash called the Grand Canyon of the Pacific—is just your run-of-the-mill freaking amazing. Several overlooks on the way up from Waimea Town are national-park quality. The Kukui Trail drops to the bottom (cacti and century plants, river), and several trails dance along the rim, like the one to Polihale Falls (above). The road up the rim of Waimea Canyon ends at two overlooks of the Kalalau Valley. 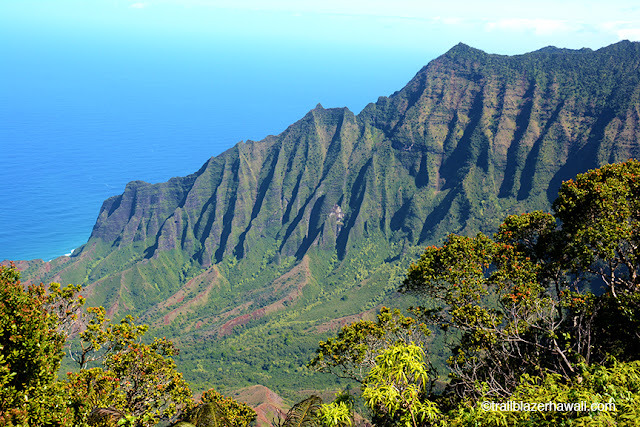 This is the spot trekkers reach after a 12-mile slog along the rugged Napali ("the cliffs") Coast from the north side of the island beyond Hanalei Town (around the right side of the above photo). 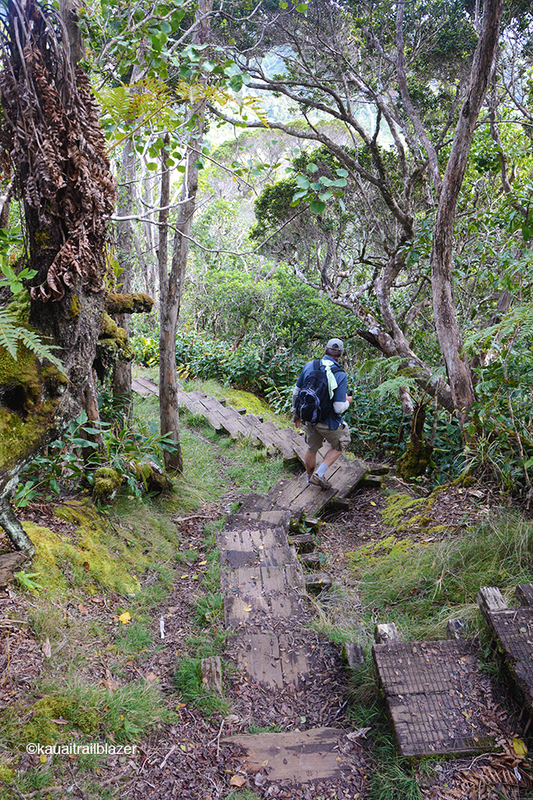 This Kalalau Trail gets hammered by footprints. What few people realize is that the roadless Napali continues to the left of this photo, eight or more other cliff-and-valley features. You can walk out all of them. The most famous is the Awa'awapuhi Trail, but other hikes are also spectacular, ending at beach vistas from 2,000 to 3,000 feet up. 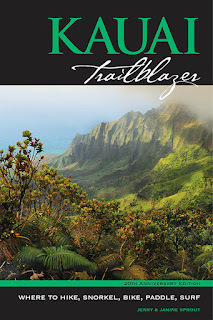 You're not done: From the last overlook, the Pihea Trail skirts the lip of the Kalalau Valley—and then drops via miles of staircases and ramps through the rainforests of the Alakai Swamp and ends at a platform (called Kilohana) that looks down from 4,000 feet onto Kauai's north shore. 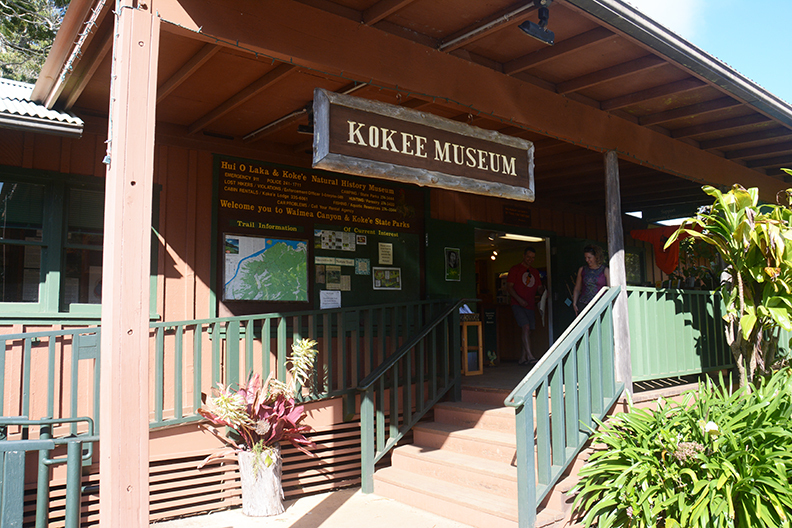 But wait, there's more: Forested bird lands lie between the top of the canyon and the edge of the valleys—more miles of trails and mountain biking roads in Koke'e and Waimea Canyon state parks. The best place to make sense of all this is to head to the Koke'e Museum, among the very best in the state. Staff know the area well (you won't find park rangers around) and the gift store is maybe the best on the island. 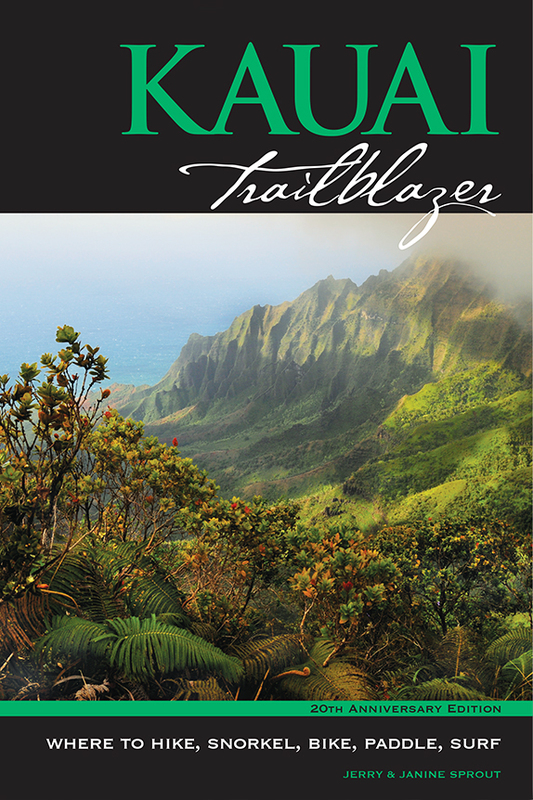 Kauai Trailblazer has all the details. It takes a few trips to get a handle on this adventure wonderland. Be Aware: It can be nippy up here, so bring outerwear and equip your daypack.